Sheet Size: 10.5" x 8"
One subject wirebound notebook. 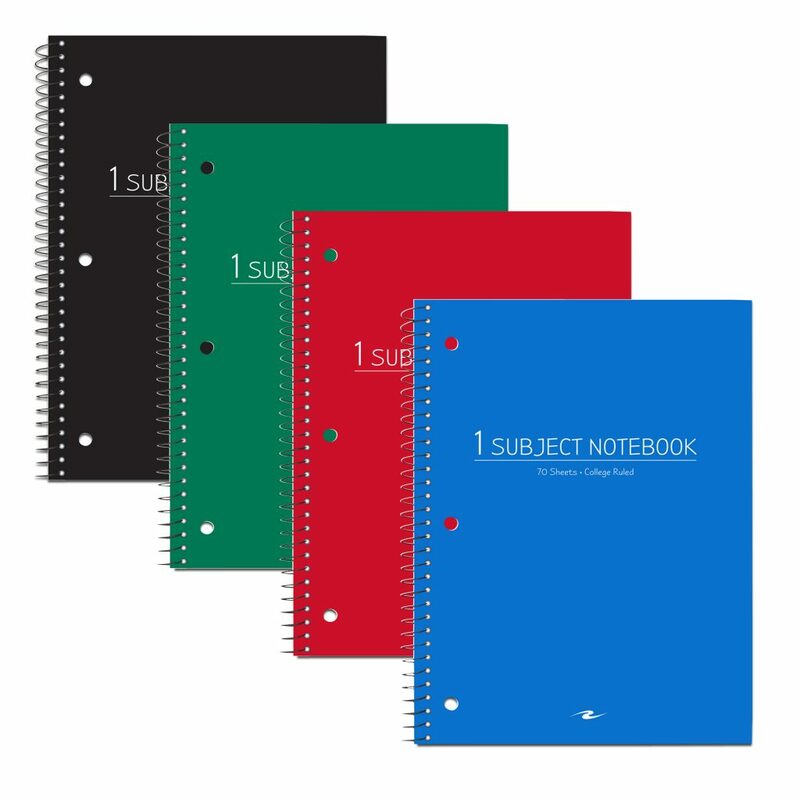 Smooth, white, 15# writing paper is college ruled with a red margin line. Covers are produced with durable poly material for extra long life, and are packed in 4 assorted standard colors. Wire ends are coil-locked for snag-proof performance. Each book is 10.5″ x 8″ and contains 70 sheets of writing paper. 24 books per case. Proudly made in USA!